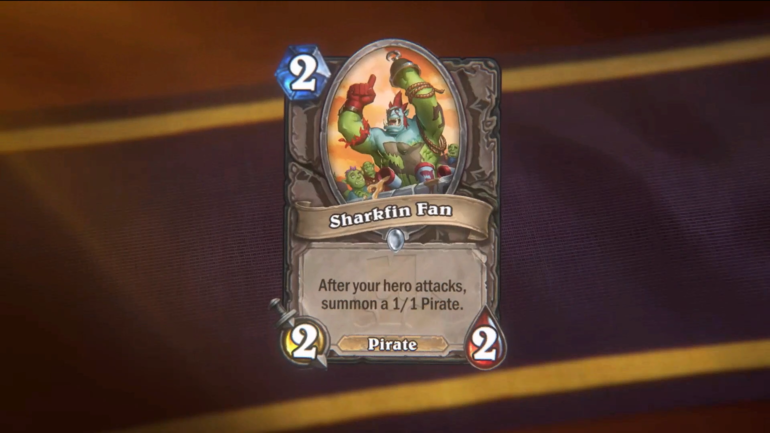 Four new cards were revealed at BlizzCon 2018’s opening ceremony. After a slight hiccup at BlizzCon 2018, four new Hearthstone cards were revealed. Among them is the new common card Sharkfin Fan. “After your hero attacks, summon 1 /1 Pirate,” the card reads. This card, and the other three, are part of the new Hearthstone expansion called Rastakhan’s Rumble. Players are able to pre-purchase the expansion now. There are two bundle options: one for $20 and another for $50.